The Lyre Side Chair or Harp Back Chair from Niagara Furniture. 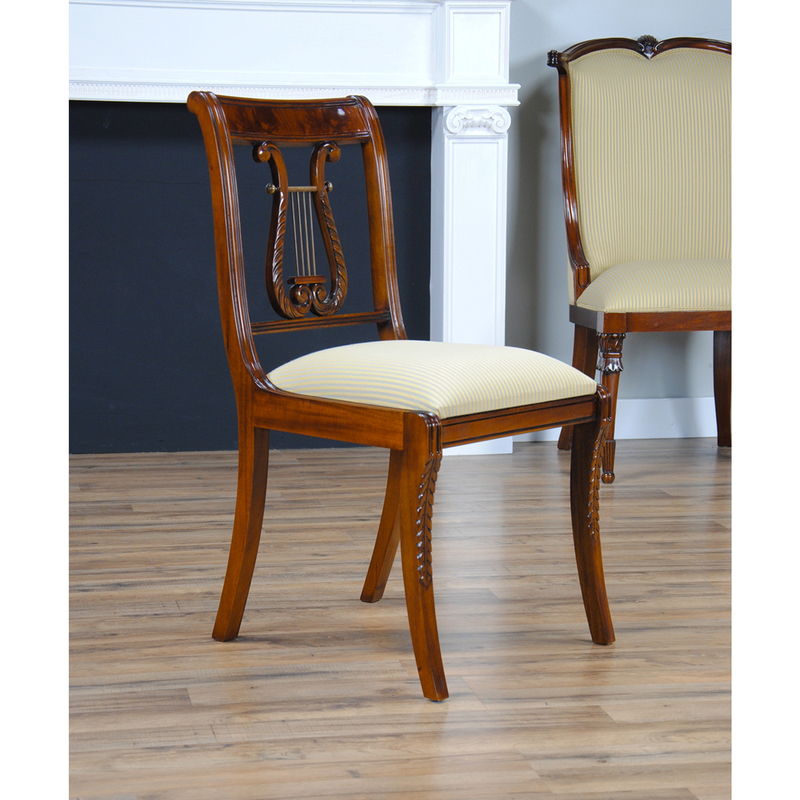 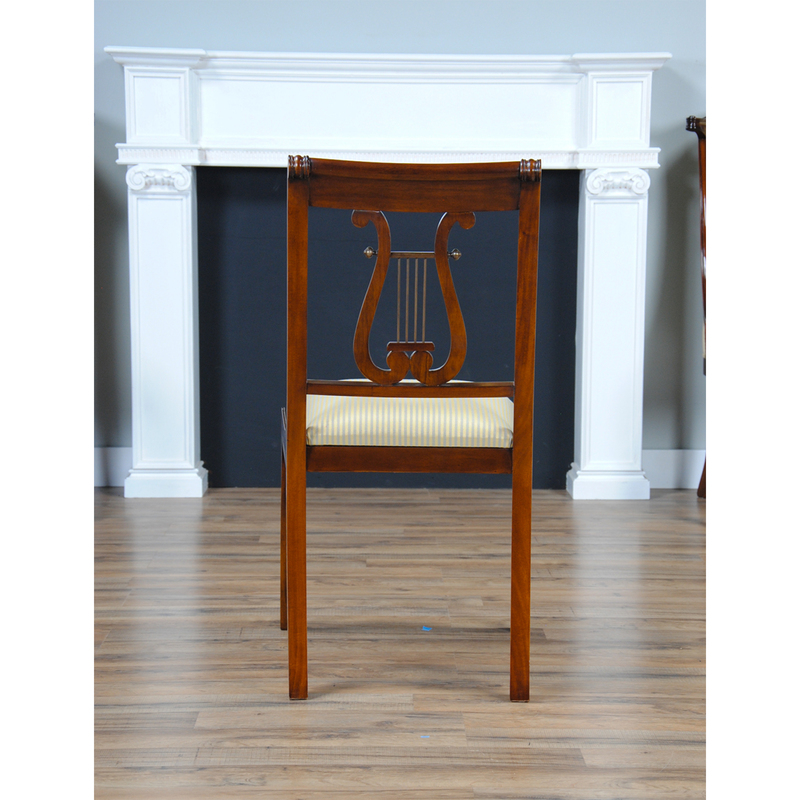 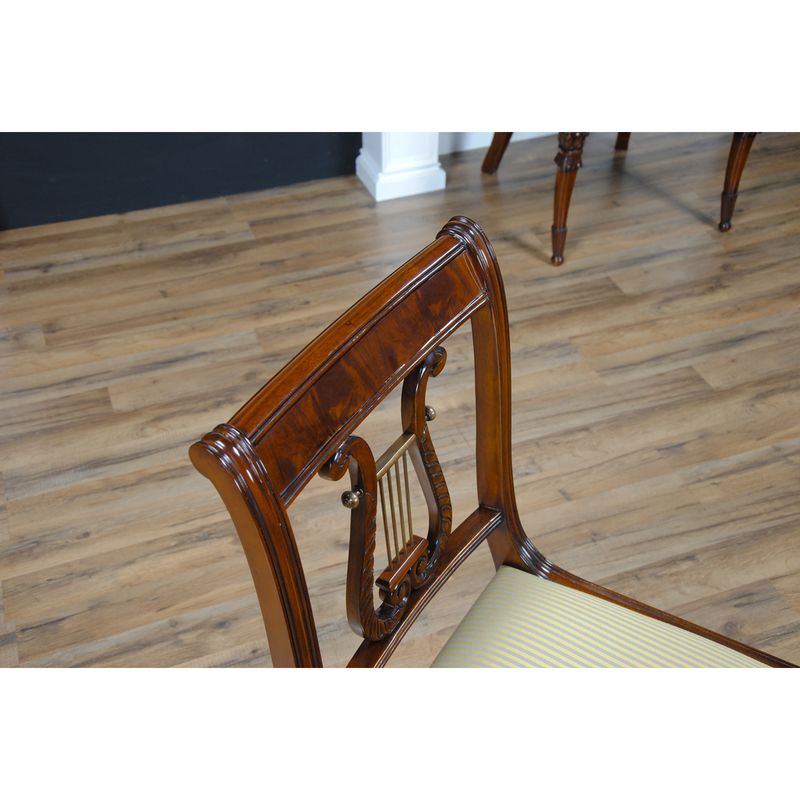 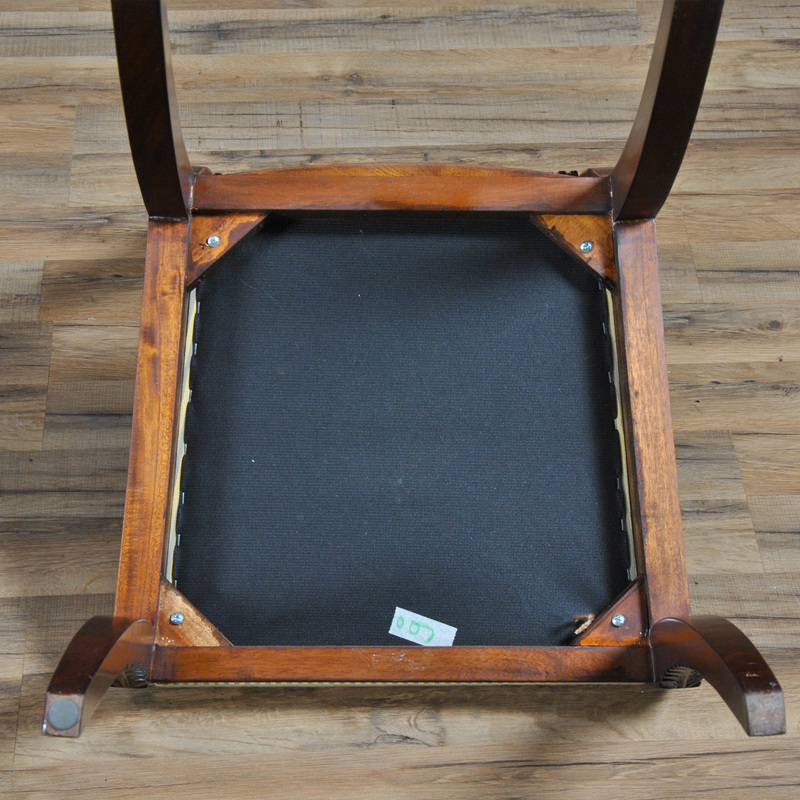 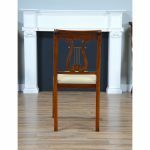 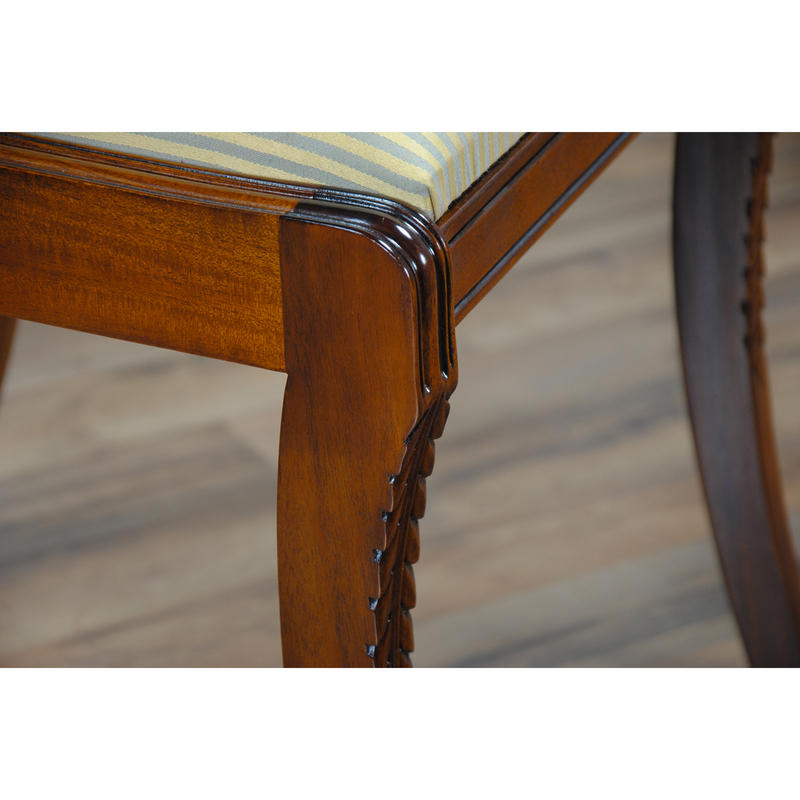 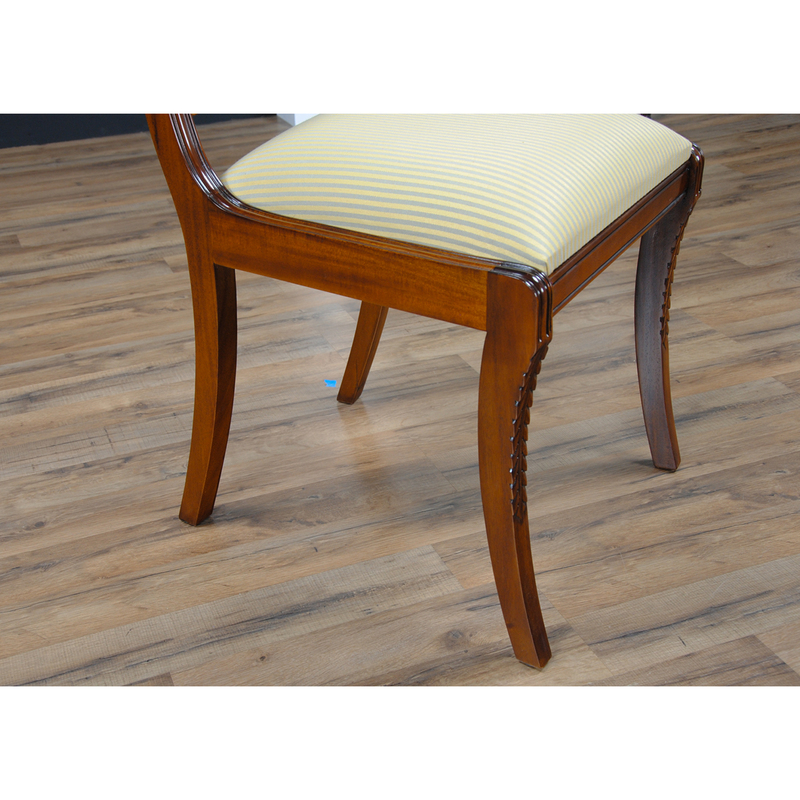 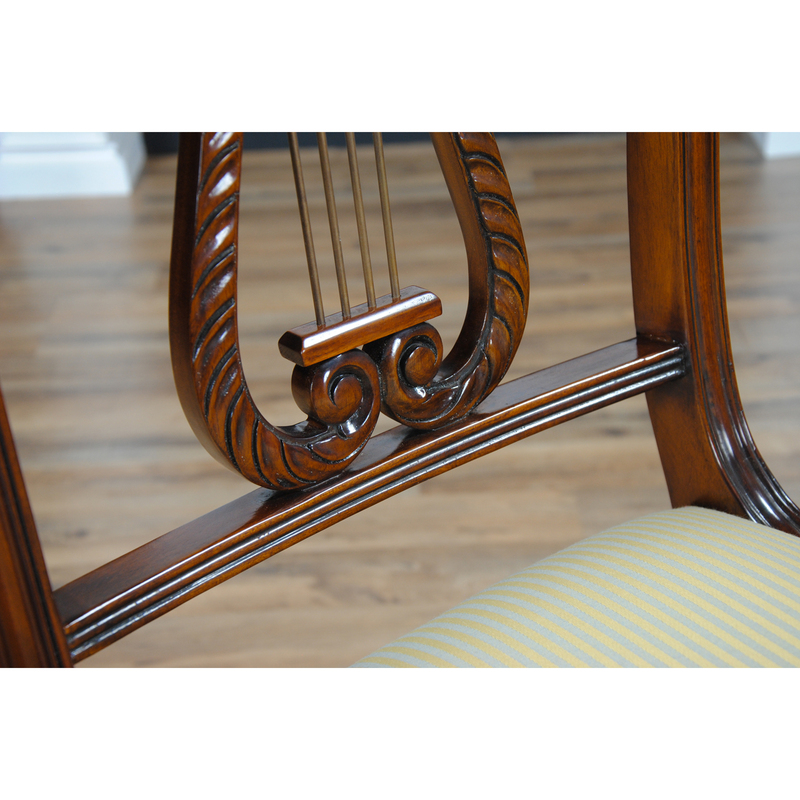 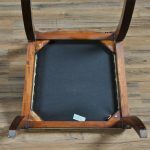 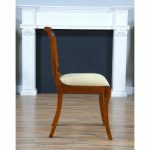 This fine quality Duncan Phyfe style Lyre back chair features hand carved details throughout its’ entire construction. 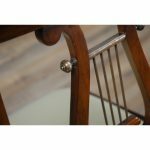 Top rail features figure mahogany veneers and the center of the back of the chair features hand carved solid mahogany pierced by brass hardware for a unique and high end look. 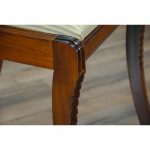 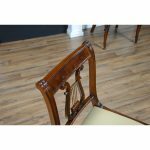 This chair also features a drop in seat that is easy to remove to allow for simple fabric changes as well as hand carved and curved legs. 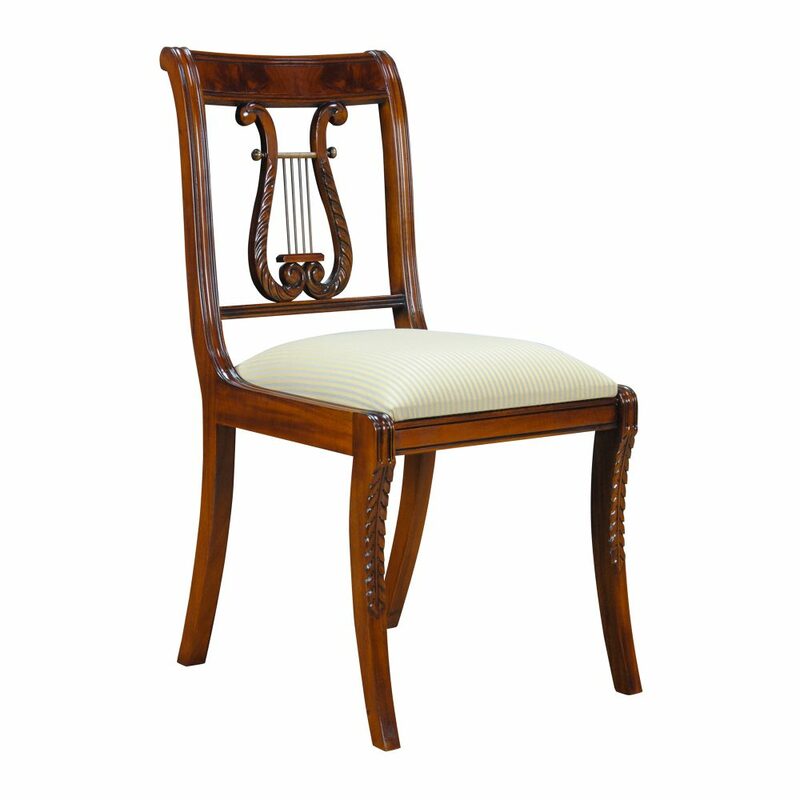 Elegant and sturdy as well. 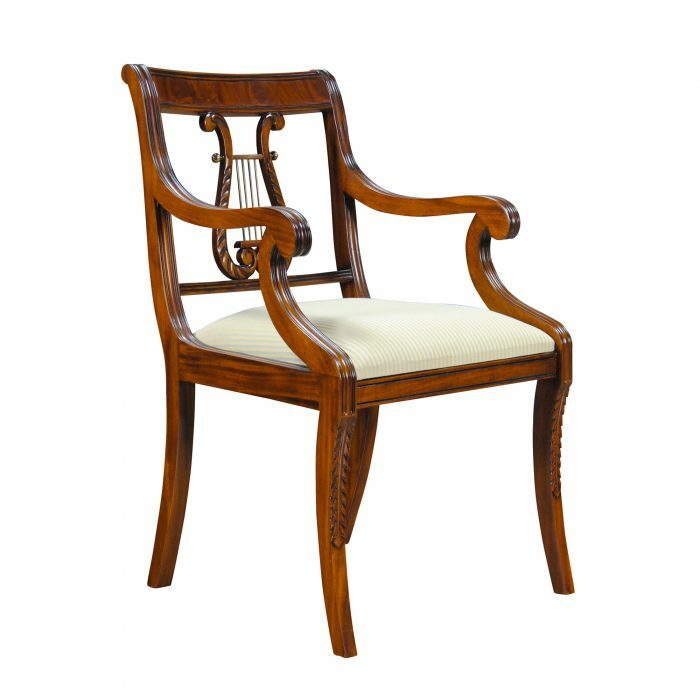 Constructed after the designs made famous by Duncan Phyfe in the 1800’s in New York the Harp Back Chair is a timeless classic that has never gone out of style and will fit into any setting.